In this wide-ranging conversation, Michael Caine, who was born Maurice Micklewhite, reveals that he chose his new surname when he saw a poster for Humphrey Bogart's movie The Caine Mutiny. Growing up in a working-class London neighborhood, Caine watched movies seven days a week; Bogart was his favorite actor. In more than 100 films, Caine has maintained a distinctly British persona but inflected it with a hardboiled, laconic style. 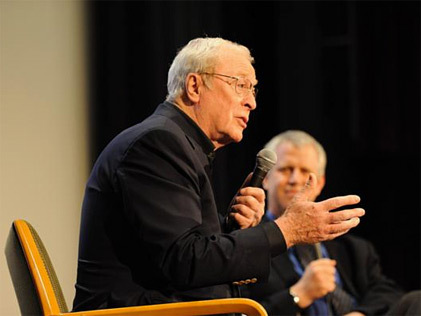 In this discussion, presented in collaboration with BAFTA East Coast, Caine focused on his tough-guy roles, in films including Zulu, The Italian Job, Get Carter, and his latest, Harry Brown.